The Arizona Technology Council is pleased to announce that its President and CEO, Steven G. Zylstra, has been named a Tech Champion by the Computing Technology Industry Association (CompTIA). Zylstra was recognized for his leadership in championing technology policy in Arizona and for his commitment to his association, its members and his civic and community affairs. Sen. Gory Gardener, Colorado, and Rep. Seth Moulton, Massachusetts, were also named 2018 Tech Champions. The Tech Champions award recognizes leaders and legislators who are outstanding advocates for the technology industry and have shown consistent support for this vital economic sector. 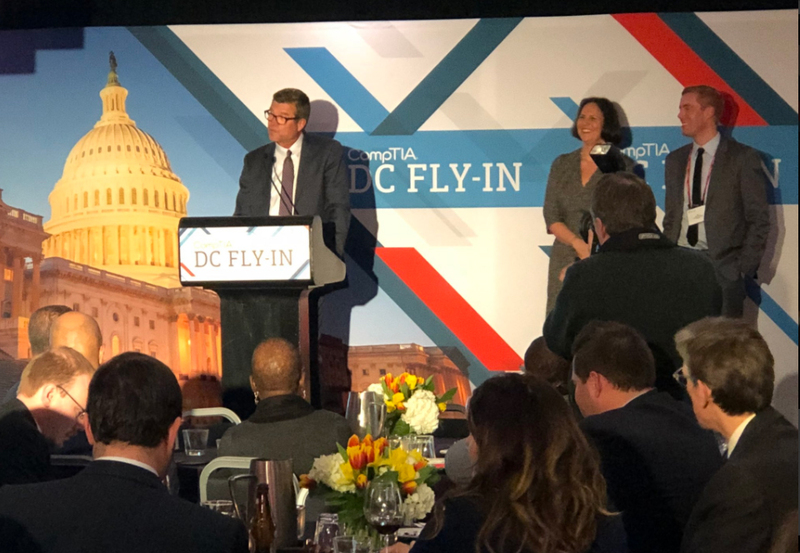 The award was presented during CompTIA’s annual D.C. Fly-In, which brings together more than 100 solution providers, vendors and other IT professionals to discuss industry trends, issues and legislation in both state houses and the nation’s capital. In 2017, Zylstra was instrumental in helping pass pro-business and pro-growth legislative initiatives, including the extension and continued expansion of the R&D Tax Credit program until 2021, giving Arizona the top R&D tax credit in the entire nation. Zylstra also rallied Arizona’s technology community to lobby for the recapitalization of the Angel Investment Tax Credit, which resulted in $10 million being put back into the program with the goal of boosting in state investments.